Laissez les bons temps rouler, let the good times roll. This is the Cajun French expression that perfectly captures the spirit of New Orleans in Louisiana. After all, this is the birthplace of jazz, and holds the best known Mardi Gras in the country. 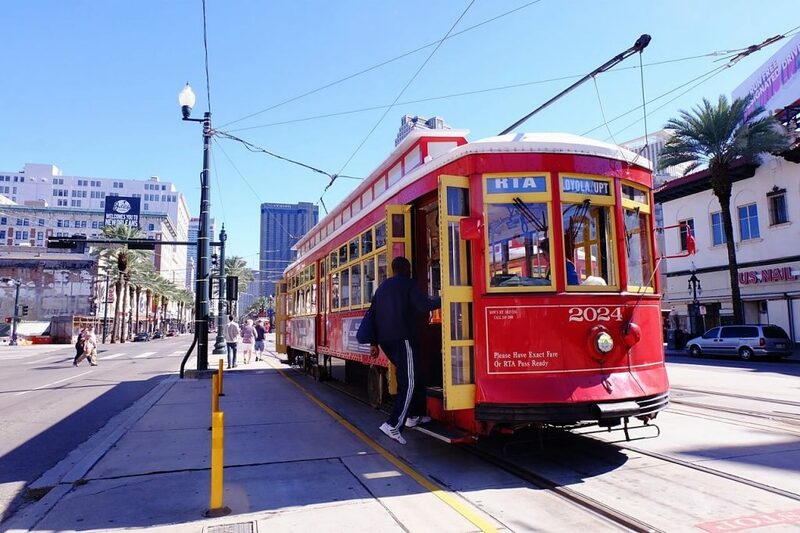 With its wonderful mix of cultures and traditions reflected in its music, cuisine, and annual celebrations, New Orleans is indeed a great place to visit. When I was planning my trip to the US, I had intended only to stay a couple of weeks in Nola, or a month at the most. It isn’t New York, I thought, that would have endless things to do to occupy me as a travel blogger. I didn’t realize how wrong I was until a month had already passed and I still wasn’t ready to leave New Orleans. I found that I love the friendliness of even random strangers, of doing nothing aside from just walking around looking at the quintessential Louisiana mansions, and yes, of trying out one Cajun or Creole dish after another. It is definitely not New York, and I love it. 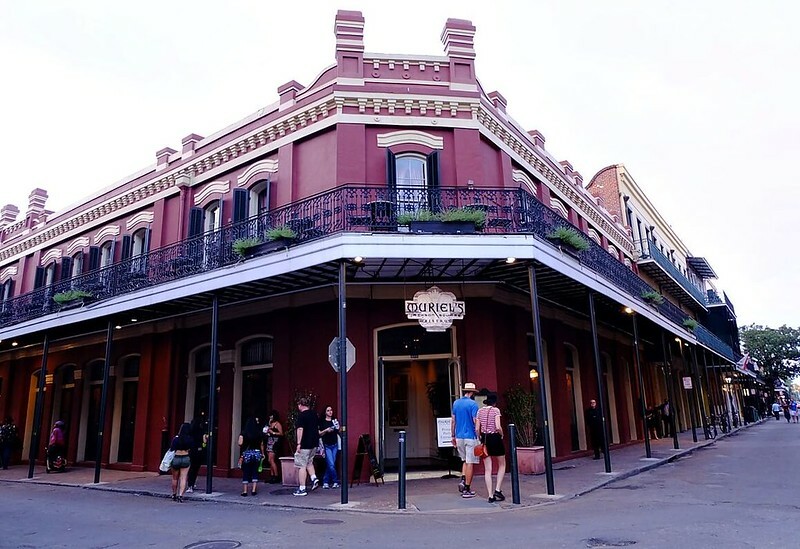 Are there a lot of things to do in New Orleans for solo travelers? Definitely. Here are just some of them. Know about the environmental issues in Louisiana. Swamp tours are a dime a dozen in New Orleans. 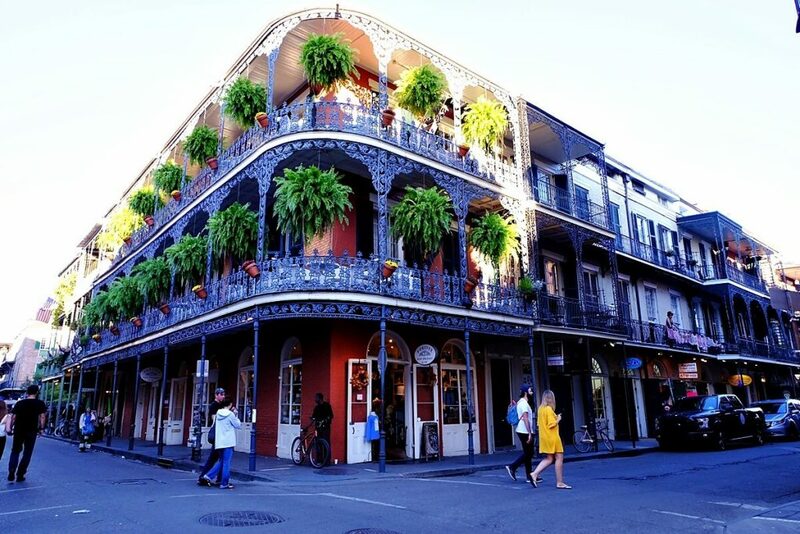 Stroll through the French Quarter and you’ll find a number of travel agencies offering one. Be warned, though: some tours would bring 20 or more people to the swamp and give them food (like marshmallows) to feed the alligators. This isn’t ecologically responsible and although there is no law against it, the Louisiana Department of Wildlife and Fisheries advise against it. 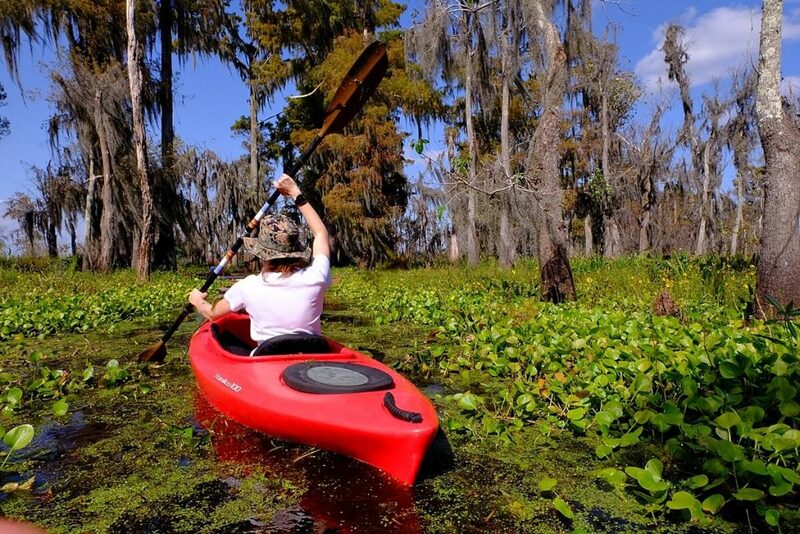 A better experience is to book with Lost Lands Tours, an environmentally conscious business that offers kayaking and motorboat tours to the swamps and marshes of Louisiana. Aside from a 3-hour kayaking tour with a guide pointing out the various interesting spots and wildlife along the way — we’ve seen baby alligators, a number of turtles, barred owls, and eagles — you will also get a 1-hour orientation about the issue of coastal land loss currently being given by a Pulitzer-award winning journalist living in New Orleans. If you would rather not hear about the dire effects of climate change, of sinking cities (yep, Southern Louisiana, including New Orleans, is sinking), and disappearing islands, fear not. 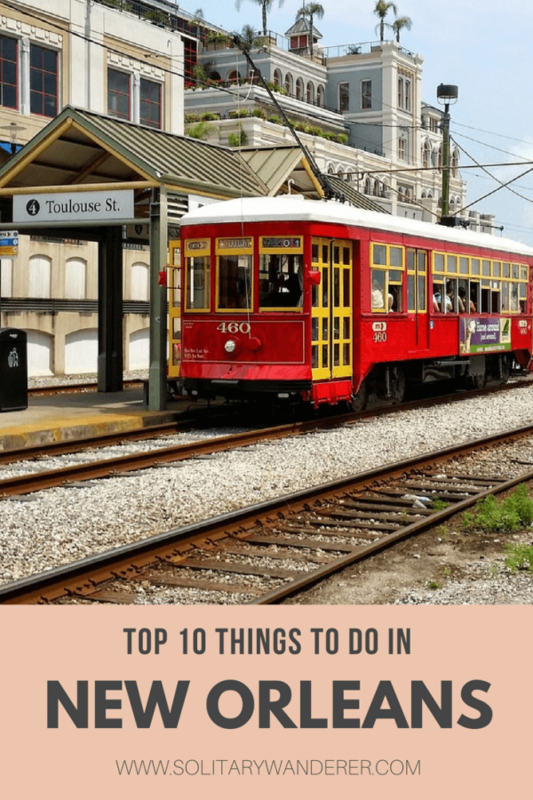 There are loads of other things to do in New Orleans! As a solo traveler, you can join any scheduled tour but they don’t have one everyday, as they need a minimum of 4 people to go out (unless you’re willing to pay for 4 persons). Email them to inquire about their schedule. The beautiful balconies and galleries in the French Quarter. Make sure to walk along Royal St and note the elaborate balconies and galleries. The Spanish influence is strong here, and every now and then, you’ll see plaques along the buildings telling you of the place’s history. Another street that’s a must to check out, especially at night, is Bourbon Street. There are countless bars and restaurants, and even during the day, you’ll find street musicians performing for the crowd. Unlike other cities, though, where you can find lone buskers with a guitar, in Bourbon St. it would be a whole band with strings and wind instrument, complete with dancing. There’s really nothing like the street musicians of New Orleans! 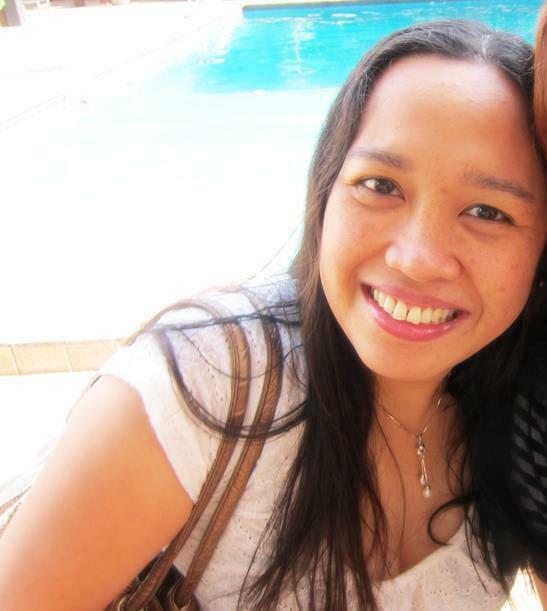 As a solo traveler, you can definitely do this on your own. However, you can also meet up with other travelers. I use Couchsurfing or Meetup. The French deep fried donut called a beignet. Sure, it’s a very touristy thing to do, but even locals do go to Cafe du Monde for the beignets (ben-yays, French donut drenched in powdered sugar) and cafe au lait. I’ve had beignets in other cafes in New Orleans but the ones in Cafe du Monde remain my favorite. They’re light and crispy and inexpensive. 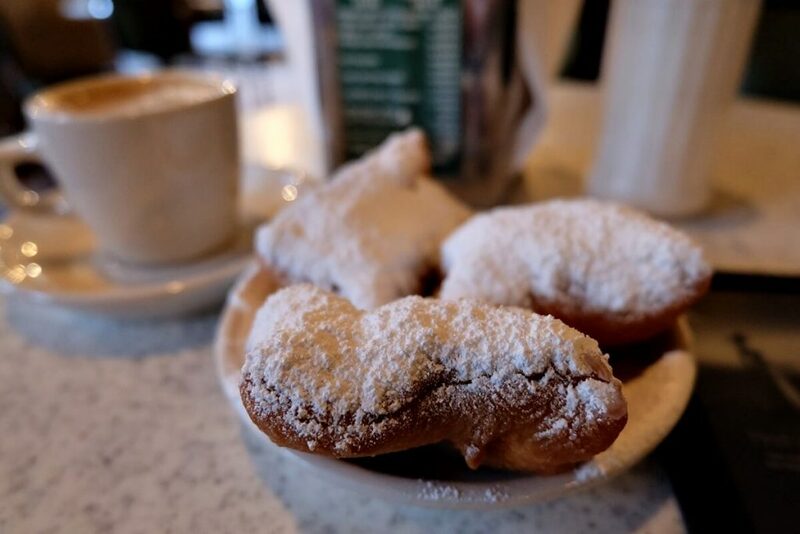 An order of beignets (3 pieces) and hot coffee is just $6. Bring cash when you go! Cafe du Monde (as well as other cafes I’d been to) don’t accept credit cards. I didn’t have cash with me so I had to leave my order to withdraw money across the street. Delicious shrimp and oyster po’boy from Crabby Jack’s. One of the best things to do in New Orleans as a solo traveler is to sample its world-renowned cuisine. You have the gumbo and jambalaya, red beans and rice, and muffuletta and crawfish dishes, not mention snoballs and chicory coffee. Sounds too much, maybe, but you can’t leave the Big Easy without having a po’boy — a traditional Louisiana sandwich using a French baguette. I’ve had really good ones and really bad ones (from a convenience store); you can find it anywhere, the trick is to know which ones are worth a special visit. For a combination shrimp/oyster po’boy, I highly recommend Crabby Jack’s along Jefferson Highway. 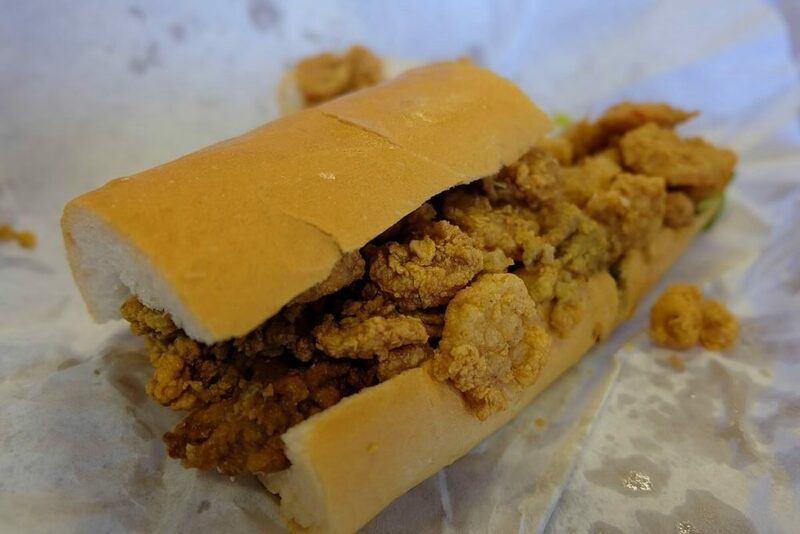 For only $12, you get an overflowing sandwich filled with crispy shrimp and delicious oysters. I had to take half to go, it was that big! Po’boys come in different kinds, of course. Aside from seafood (like crawfish, catfish, crab), there are also po’boys with pulled pork (called cochon de lait), turkey, roast beef, and sausage, among others. Vegetarians can find po’boys with green tomatoes. I almost always order the shrimp/oyster combination, but at the recently held Po’boy Festival, I tried out duck and cochon de lait. Loved the pork, hated the duck! Turkey’s also good as well as soft-shelled crab. Another must have dish here is gumbo, Louisiana’s official state cuisine, consisting mainly of a strongly-flavored stock, some meat or seafood, a thickener, and some vegetables like celery, bell peppers, and onions. I’ve had gumbo with shrimps, and some with chicken and andouille (sausage). It’s heavy and filling and definitely delicious. 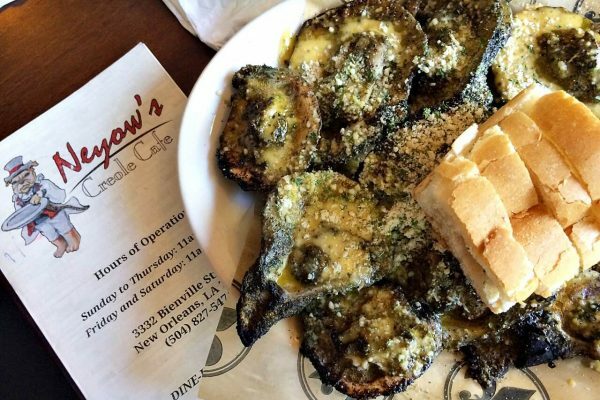 Sampling the best food in New Orleans is definitely one of the must-dos when you’re in the city! 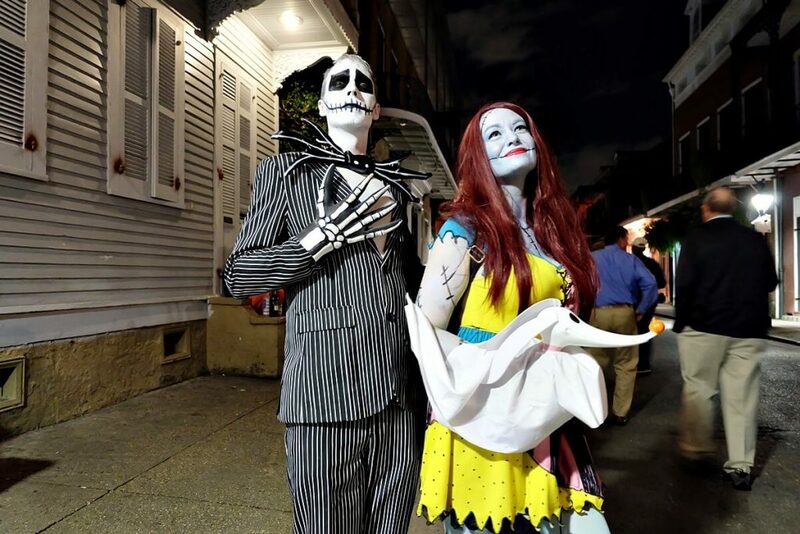 New Orleans is rich with ghosts and other supernatural stories! Aside from great music and delicious food, New Orleans — or Louisiana in general — is also known for voodoo. It was a nature/earth religion coming from West Africa that was refined in Haiti by African slaves. Voodoo was brought to Louisiana in the early 19th century during the Haitian Revolution, where it was refined to incorporate Christian/Catholic imagery and rituals, mostly to hide their worship from their French slavers. Marie Laveau, a free woman of color, was New Orleans’ Voodoo Queen. She was a highly influential priestess in her time, and rich people gave her money and even a house for her services. Check out the New Orleans Historic Voodoo Museum if you’re interested to learn more about this religion. 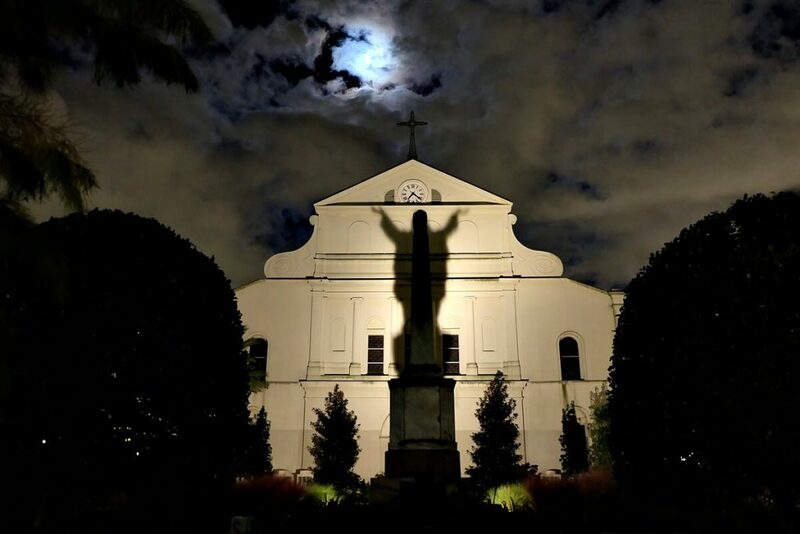 Of course, with New Orleans being known for its supernatural beings (Louisiana was the setting for the TV series True Blood, and Anne Rice’s vampires are from Nola! ), you just can’t miss going on a cemetery tour and checking out the houses with well known ghost encounters. St. Louis Cemetery #1 (there are currently three of the same name) is the oldest, having been opened after the city burned in 1788. 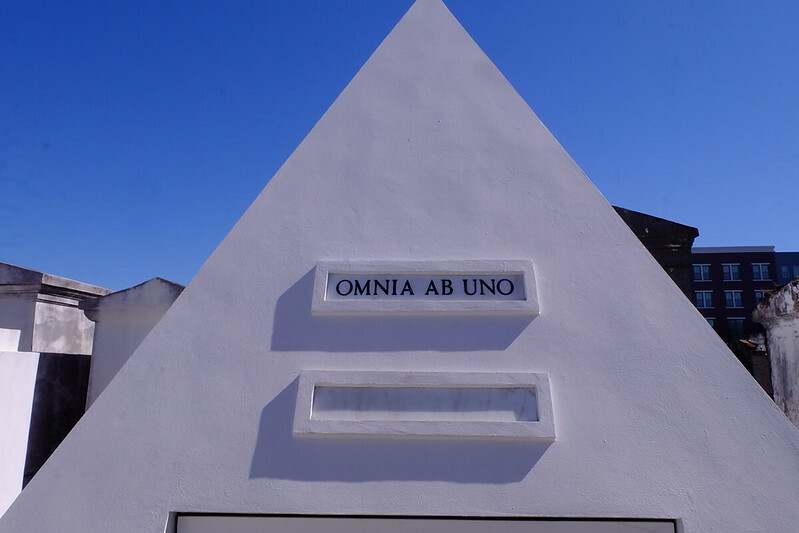 Voodoo Queen Marie Laveau’s tomb is here, as well as several other historic and highly influential people. Even Hollywood actor Nicolas Cage already has a tomb here, all ready for the time he croaks. 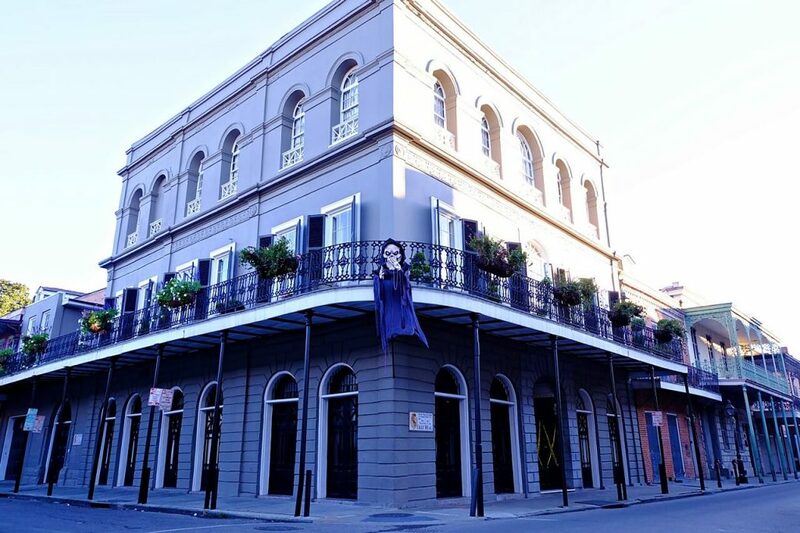 Make sure to visit the house of the infamous Delphine Lalaurie. The infamously evil slave owner Delphine LaLaurie was also said to be buried in St. Louis Cemetery. When you take a ghost tour, a visit to LaLaurie’s mansion is included. Be prepared to hear of acts so evil it’s unbelievable! Want something different? Go on a skeptic’s ghost tour. It’s basically the same as any other ghost tour; the guide will take you to houses with well-known ghost sightings and tell you what happened there. What makes it different is that they will tell you the truth about each ghost story. Muriel’s is reportedly haunted. True or not? The Skeptic’s Ghost Tour will tell you the truth! So while this tour is not for the 100% believer of ghosts, it’s still great as a way to see two sides of the ghost stories. Note, though, that they won’t debunk what is known to have happened in the LaLaurie Mansion. Everything you’ve heard about it is true. The tours I’ve mentioned here are great for solo travelers. There is no minimum number of people required, and if you book, it is guaranteed to push through, even if there’s only one participant. Just don’t forget to tip your guide! 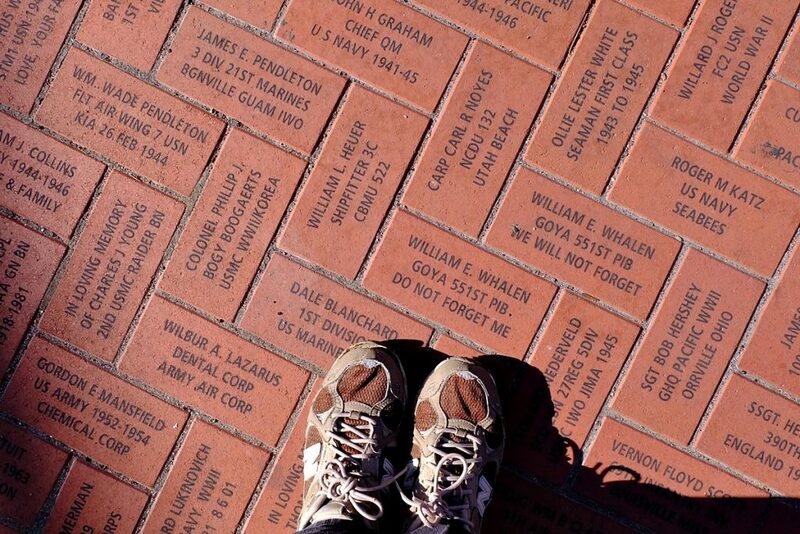 The sidewalk outside the museum has veterans’ name on the bricks. New Orleans WWII Museum, the 3rd best museum in the United States, according to TripAdvisor users, is definitely worth a visit. I put off going there for some time, as I’m not too much into museums (except art and space museums), so I was surprised when I easily spent 5 hours and wished I could have gone there earlier (it closes at 5pm). 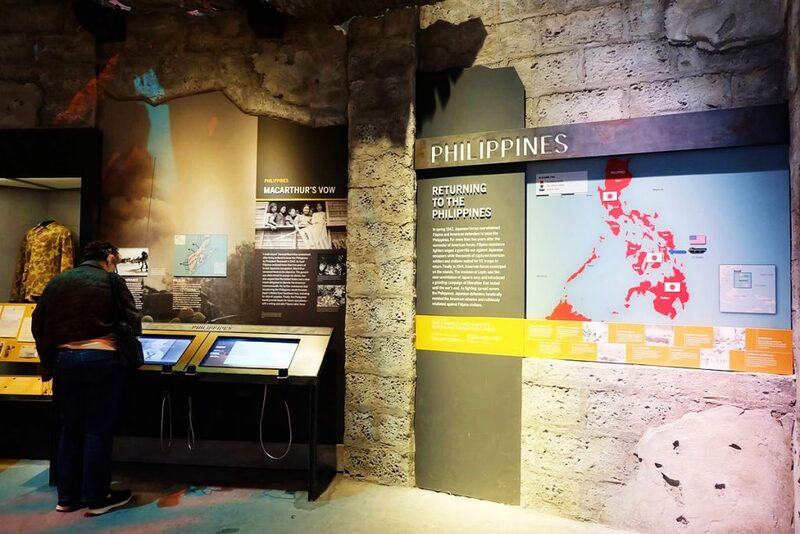 The WWII museum, accessible through the St. Charles streetcar line, has several exhibits and interactive experiences. I spent hours in the Pacific Theater galleries; the museum layout makes it easy to follow the timeline, so you don’t get confused. Make sure to listen to oral histories as well. There are photos and film documentaries running in a loop; there are also oral histories you can listen to throughout the galleries. Some of the photos and videos hit close to home; growing up, I heard about the war from my grandparents and could only imagine what they went through. I would also highly recommend watching the 4D show Beyond All Boundaries, which gives you a bit of context about World War II. The World War II Museum is at 945 Magazine Street. Take the St. Charles streetcar going there and get off at the Lee Circle. Admission fee is $27 for adults ($32 with Beyond All Boundaries) and $17.50 for students ($22.50 with the show). Open from 9am to 5pm. 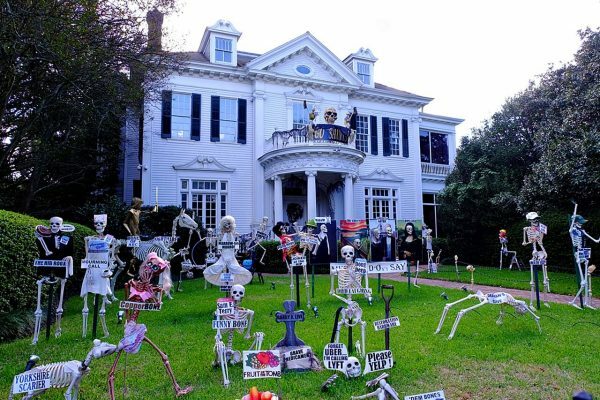 One of the gorgeous mansions along St. Charles Avenue, decorated during Halloween. One of my favorite things to do in New Orleans as a solo traveler is biking around the neighborhood. I’m based in the Uptown area, and the houses here (or more appropriately, the mansions) as well as in the nearby Garden District, are absolutely gorgeous. The mansions are big, with high ceilings seen through floor-length glass windows. There are columns and balconies, and porches with swings. Some houses are short and wide, others are thin and long. Some houses are fenced in, others just have well-tended grass lawns and driveways. Most park their cars on the street. One thing is for sure: when you bike (or walk) around these neighborhoods, you will definitely wish you live in one of those classic Southern Louisiana mansions you’ve only previously seen on the movies. 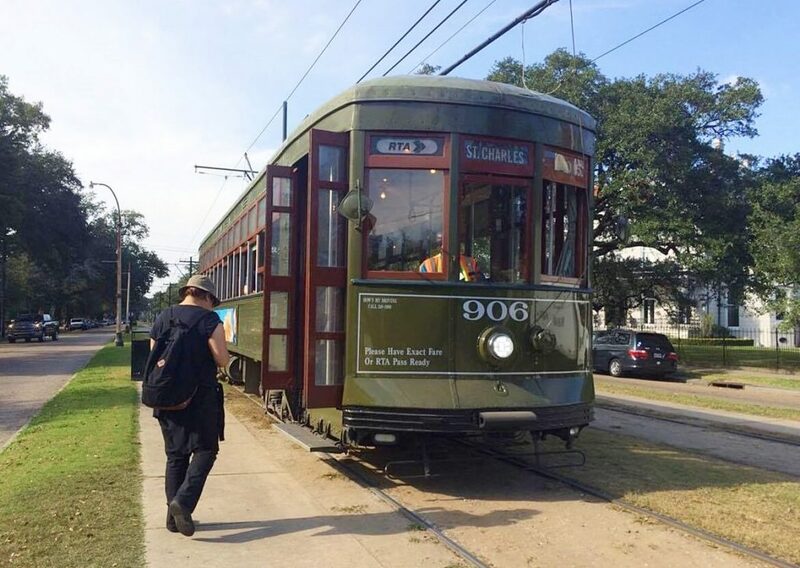 The oldest streetcar in the world is in New Orleans. Sure, it’s always a treat to ride a streetcar. It’s something new, right? In New Orleans, however, there are two things that make riding the St. Charles streetcar different. First, it’s a historic streetcar line. 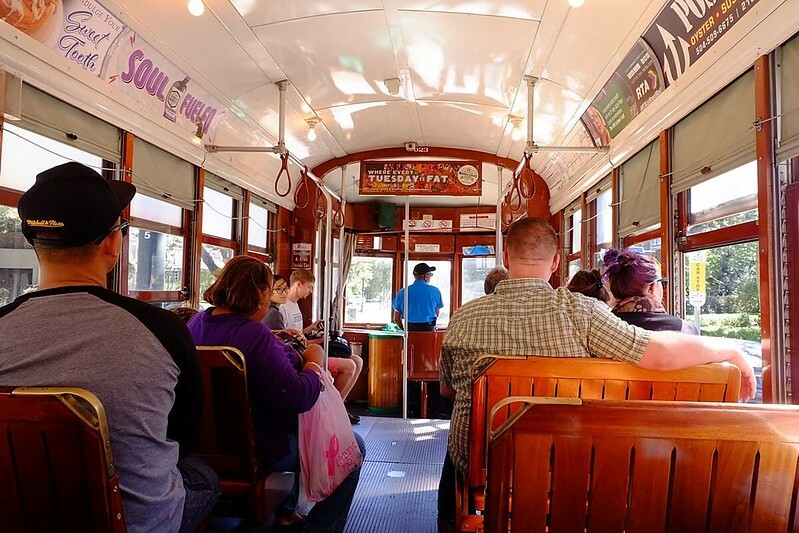 It is the oldest in New Orleans, and in fact, according to Wikipedia, it is the oldest continuously operating streetcar line in the world (running since 1835). Only the St. Charles streetcars survived Katrina since they were parked on higher ground; all the cars for the other lines (Canal St. line, see featured photo) had to be replaced after the hurricane. Inside the St. Charles streetcar. Second, the streetcar travels along St. Charles Avenue, which I think is the most beautiful street in New Orleans. It is definitely called the “Jewel of America’s Grand Avenues” for a reason. 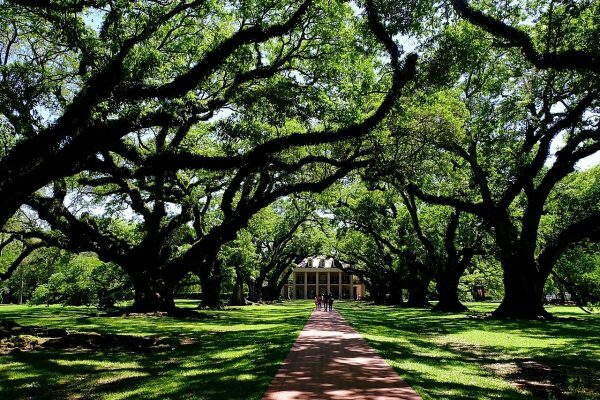 A wide oak-lined street, St. Charles Avenue is home to historic churches, universities, and gorgeous mansions that best capture the elegance and charm of Southern Louisiana. Major parades go through here, too, including the Mardi Gras. When you’re strolling along St. Charles, look up at the oak trees. You’ll find a lot of Mardi Gras beads strung up there. Fare for buses and streetcar lines cost $1.25 each way. If you plan to take more than 2 rides, get the 24-hour day pass for $3. Bring exact change as the drivers don’t handle money. If you do need change, they’ll give you a card with that amount which you can use next time you buy a ticket. You can also buy tickets online and just show to the driver when you get on. There is absolutely nothing like the carnival in New Orleans. Even my local friends, who say they usually go out of town when the season begins, admit that attending the Mardi Gras is an experience like no other. It should be in every traveler’s bucket list. What happens during Mardi Gras? There are several parades everyday by social clubs known as the krewe. The masked Krewe members are dressed in rich and elaborate costumes, riding in elaborately decorated floats where they throw colored plastic beads (among other things) to spectators. One of my friends is part of the original group of the Krewe of Tucks, while another is part of the Krewe of Muses. 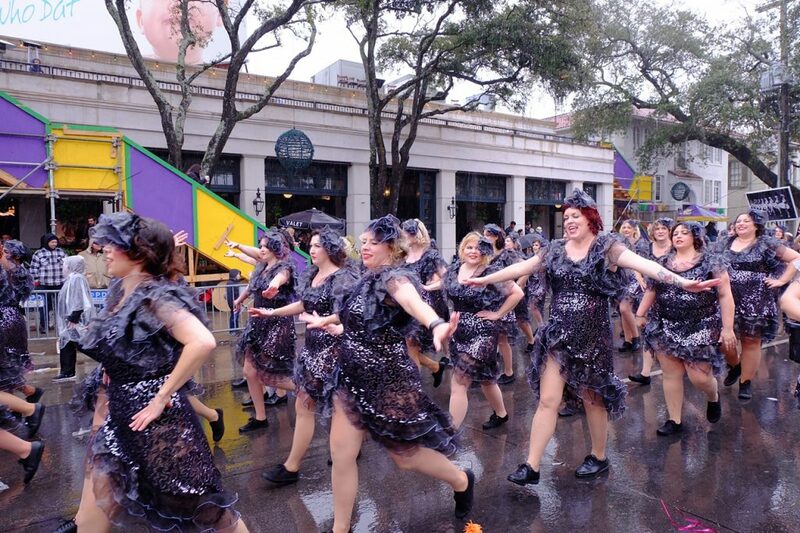 The best parades to watch, according to GoNOLA, are the Krewes of Rex, Bacchus, Zulu, Endymion, and Orpheus. Check out the schedule of the parades here. People love dressing up here; this was during Halloween. While parades for Mardi Gras 2018 start in January, the best time to come here, if you want to watch the best parades, is from February 9 to 13. Mardi Gras (“Fat Tuesday”), which is the day before Ash Wednesday, falls on February 13th and is the last day of the Carnival season. It might not be as much fun to participate in the Mardi Gras as a solo traveler. 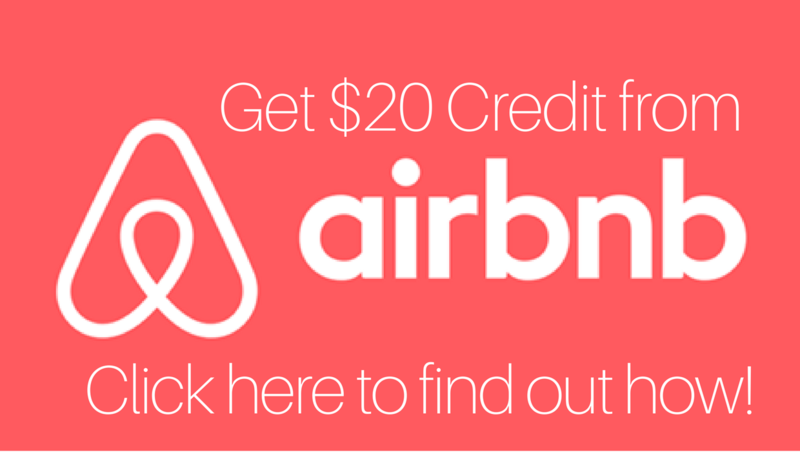 So when you’re here, make sure to hit up Couchsurfing New Orleans or Meetup to find people you can go with. Send me a message as well as I will be here! 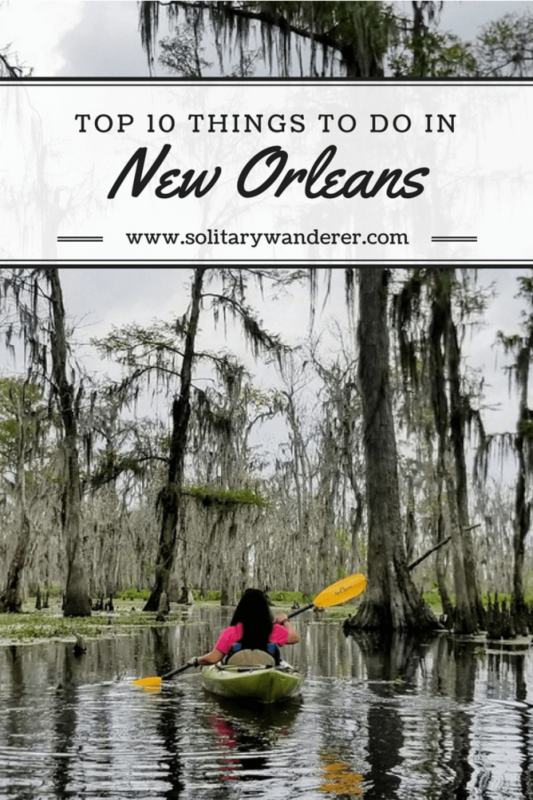 There is so much more to New Orleans than the activities I listed here. In fact, the next post I will write will be about the off-the-beaten path things to do in the Big Easy, for those who don’t want crowds, or who want something different. In the meantime, plan your trip to Nola. You would love it! Have you visited New Orleans? What other experience can you add? I had the same predicament as you – planned just a couple of days in New Orleans but ended up staying for a whole week. I stumbled upon Frenchman Street at the very end of Bourbon Street. It has a row of blues and jazz joints where locals and musicians hang out. One one the bars I went to had a blues band playing and a random guy just joined them, seamlessly freestyling with his saxophone which was never out of tune with the rest of the band. That’s the magic of New Orleans. As a huge fan of jazz and blues music New Orleans has been on my to go to list ever since forever. I heard stories about safety in New Orleans and its refreshing to see a great post with some great suggestions. I love the French Quarter and all the voodoo stuff sounds interesting but for me its really centred around the music!!! I love New Orleans. My first visit in 2004 was just magical – all I’d ever imagined, and then some. I returned in 2006 and was absolutely devastated to witness the post hurricane city. I am wondering if there is still evidence of this disaster. New Orleans is my absolute favorite! You found some great things to do! I never get tired of cajun food and ghost tours! Nawlins – saying how locals say it LOL – is a fascinating city Aleah. You did a great job capturing its colorful nature. Sure here in NYC you have 40 billion things to do. We are on the Upper West Side now as I type these words; my mind spins with the options, especially with the Macy’s Turkey Day parade in 2 days, on this very block. But the NO has so many things to do as well, but on a smaller, more manageable, scale. Loving this post, well done! I am the one and done type of traveler. When I see a place, I’m done, and not keen on going back. Except for a few places and New Orleans is among them. Are you going to be in the West Coast this trip? This is a great guide! I’ve been to NOLA so many times and other than learning about voodoo, I haven’t one single educational thing! Going to save your guide for future travels. The kayak tour sounds great, and good to know that some tours are being environmentally conscious. I think I’ll pass on the cemeteries and ghost tours though. Would definitely love to visit during Mardi Gras thought. I’ve heard New Orleans is like the capital of Mardi Gras celebrations! You know, I never knew if New Orleans would be the kind of place I wanted to visit…but you’ve definitely convinced me that I should check it out! There’s such a diverse amount of things you can explore there, and I’m interested in all of the things you mentioned! New Orleans is a really fascinating city. You should definitely check it out when you have a chance. New Orleans is high on my list- especially the French Quarter as you outlined. I bet I’d gain 5 pounds from all the delicious food! I’ve already gained 5 pounds. The food in the French Quarter is sooo delicious!